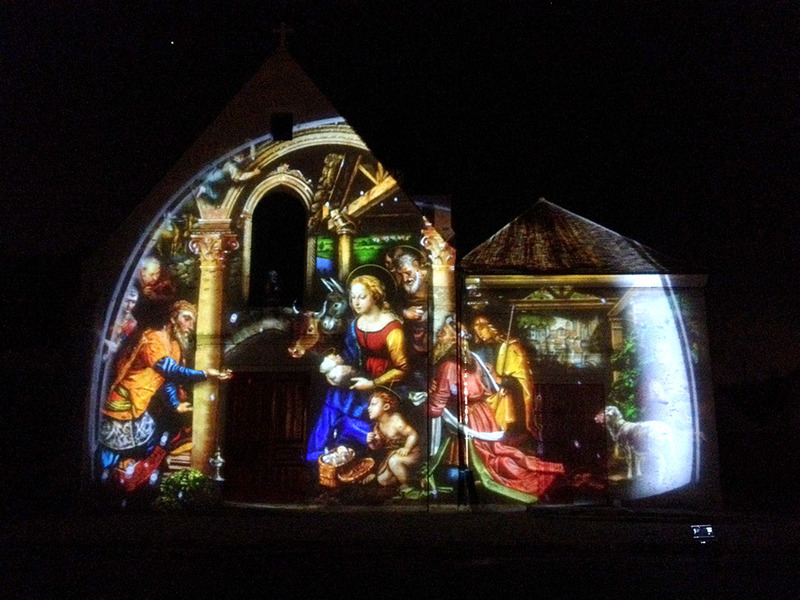 Only one video projector 4/3, 1400x1050px was needed to do the show ! 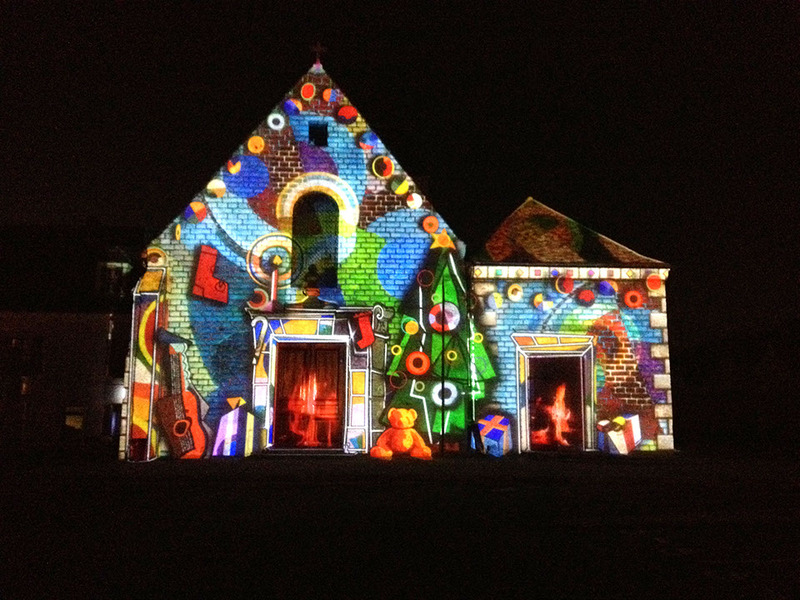 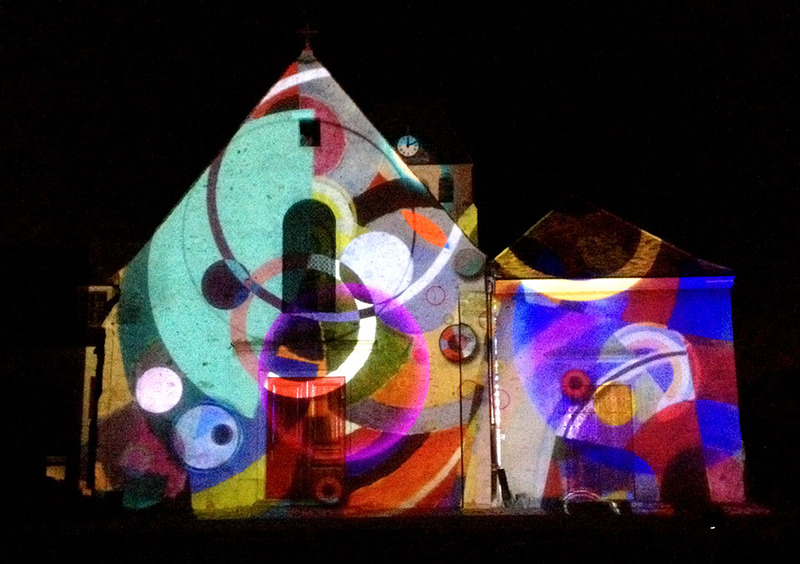 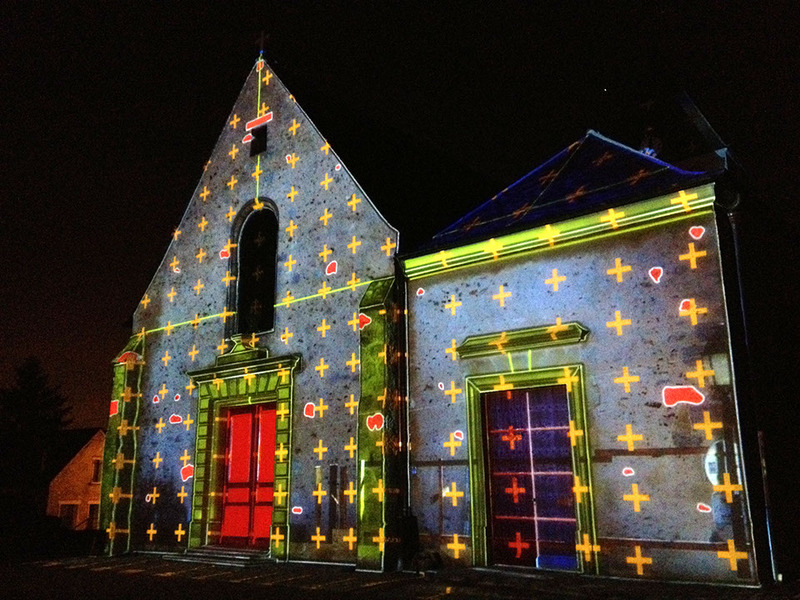 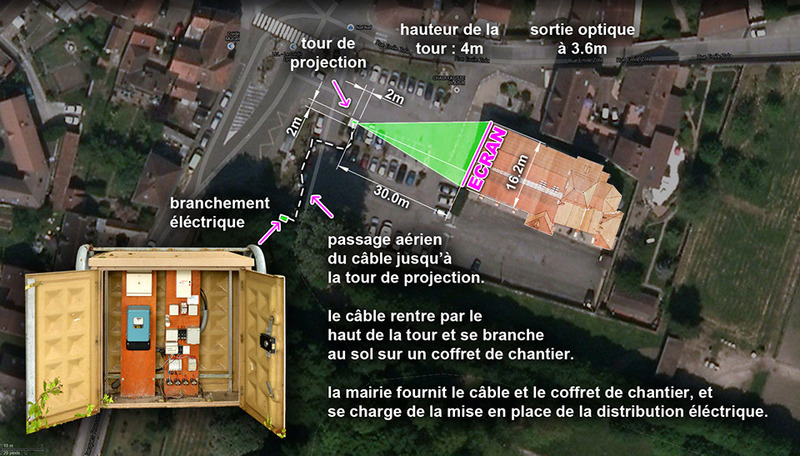 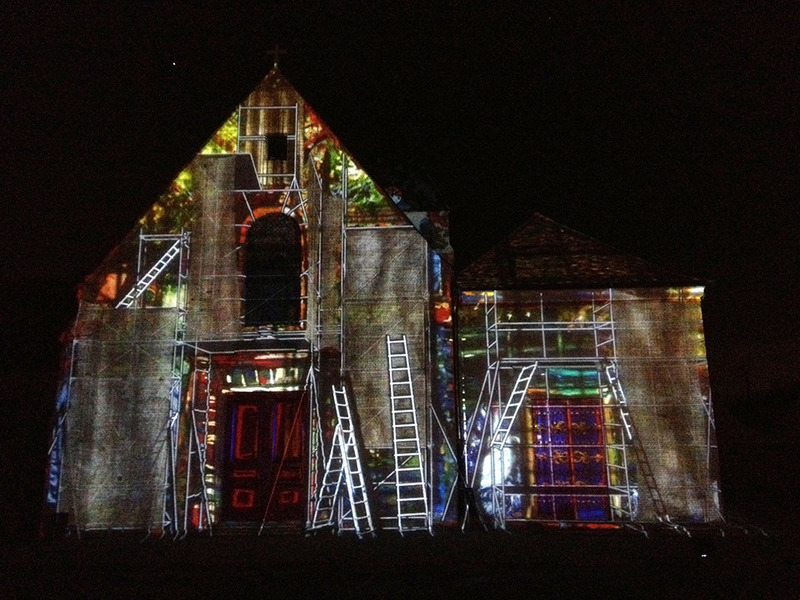 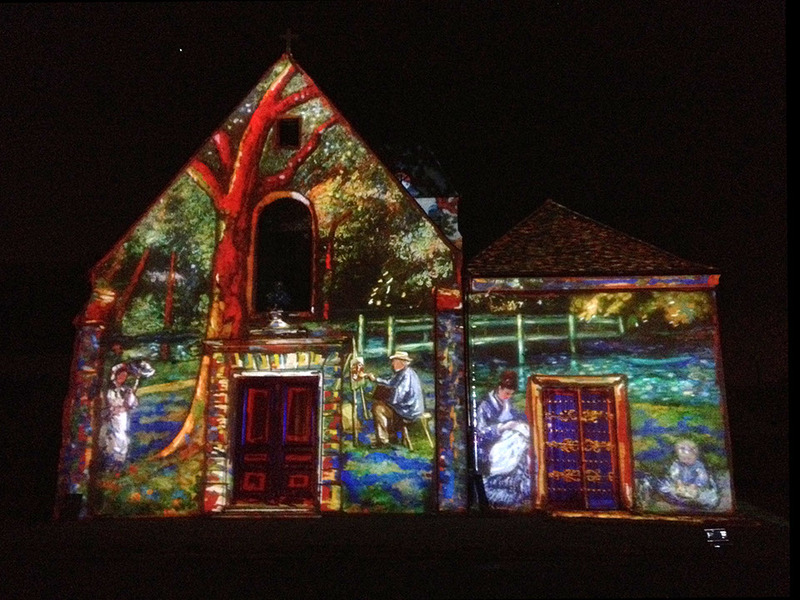 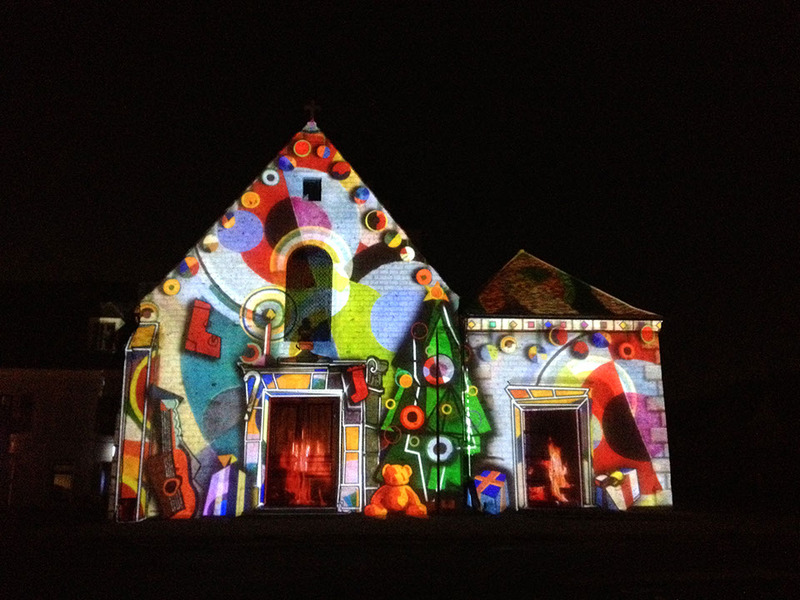 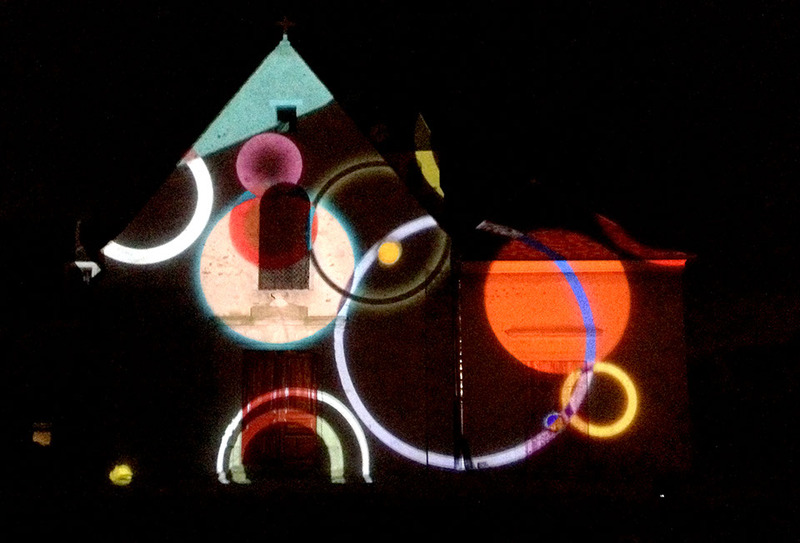 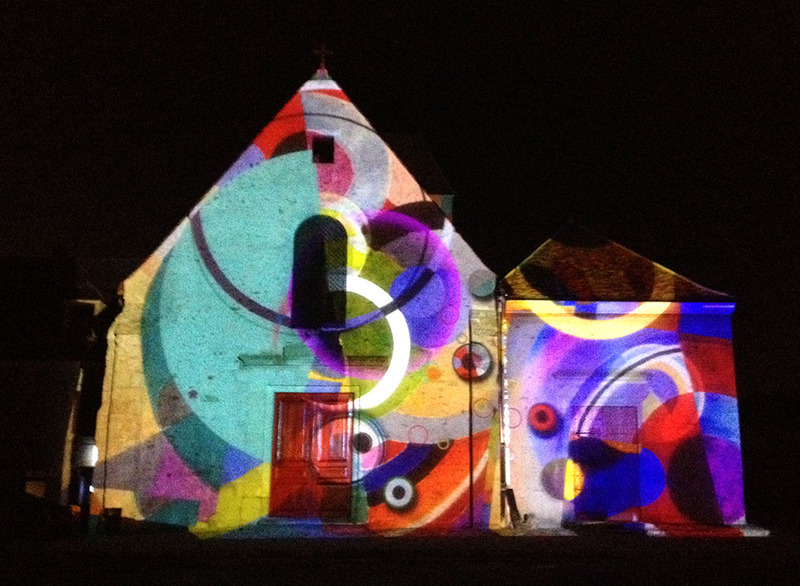 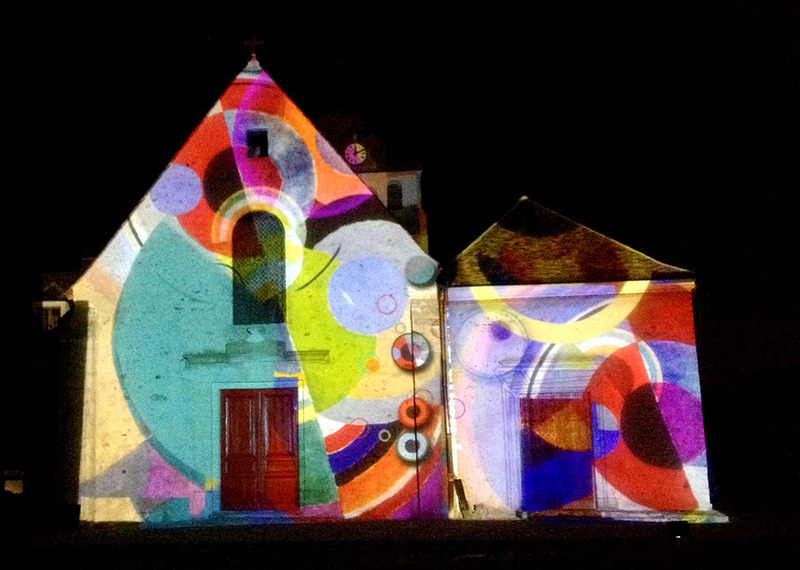 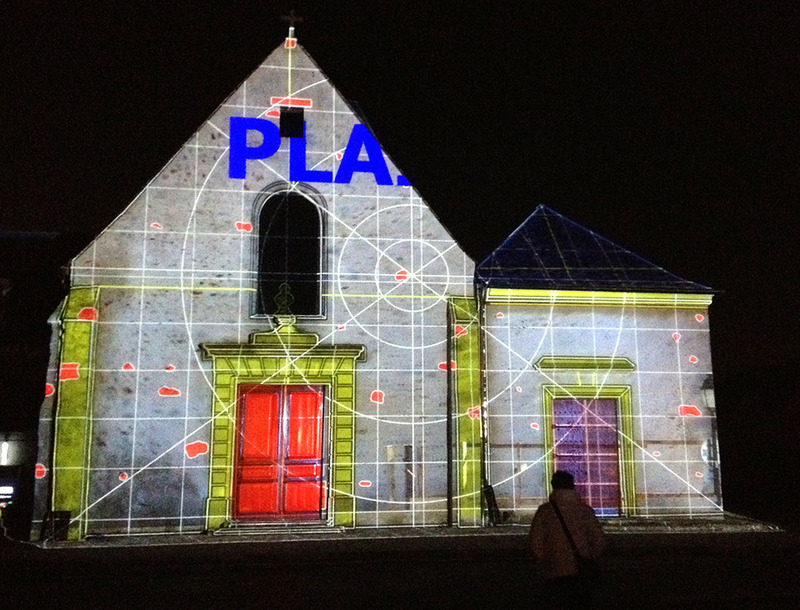 Projection on the facade of Saint Pierre Church in Plaisir, Yvelines, France. 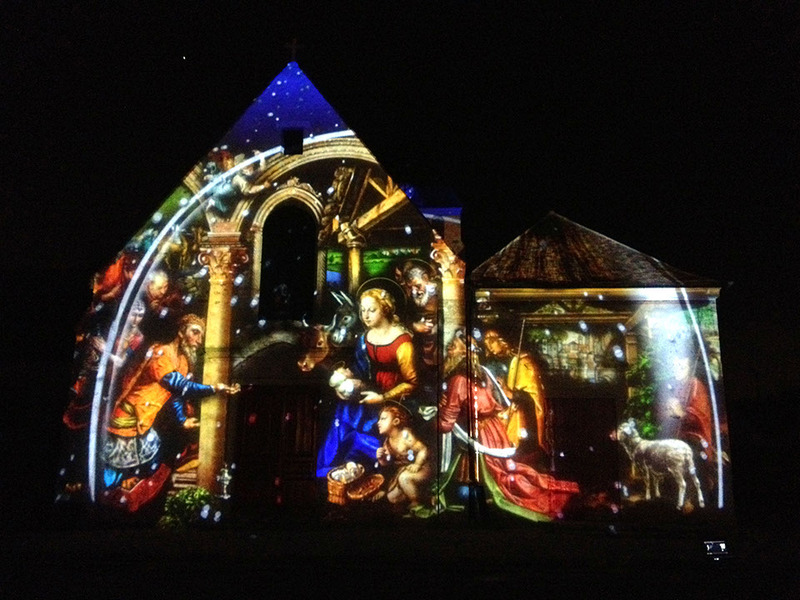 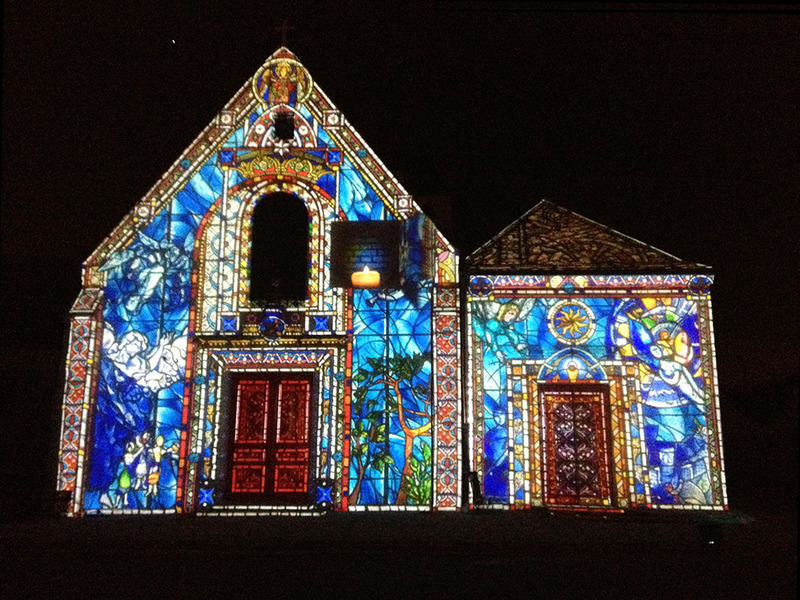 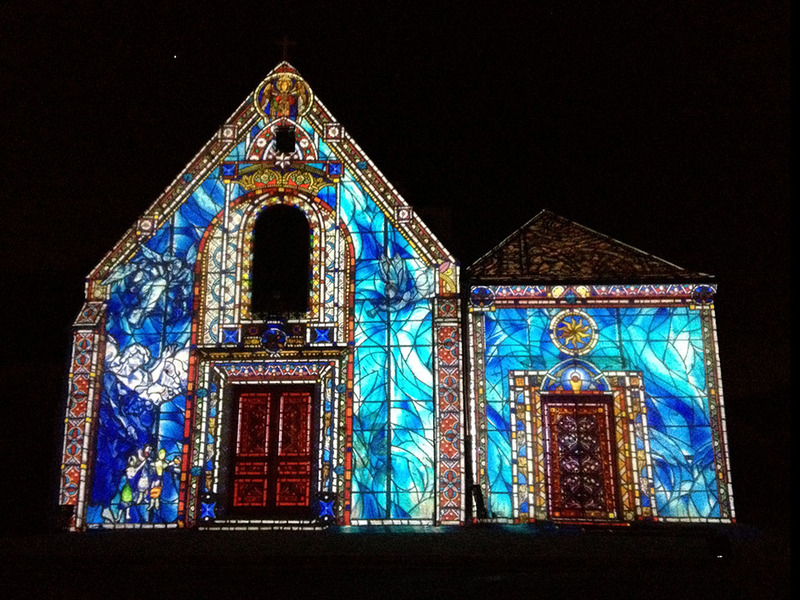 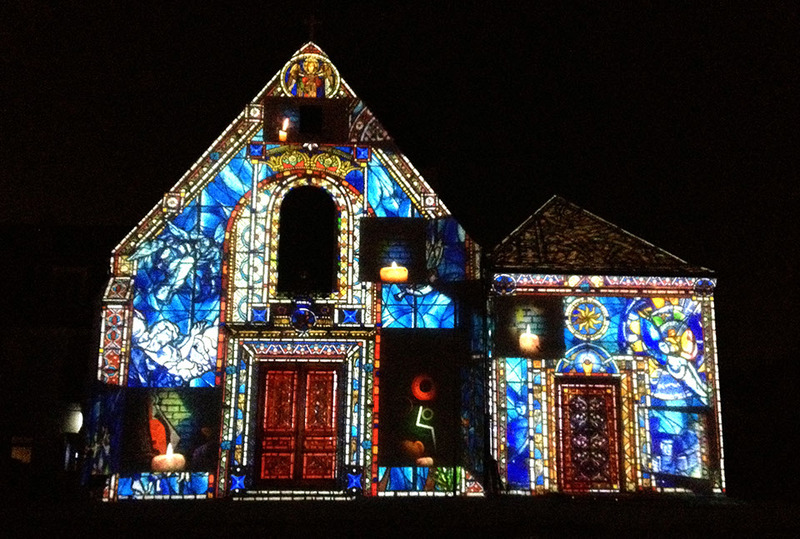 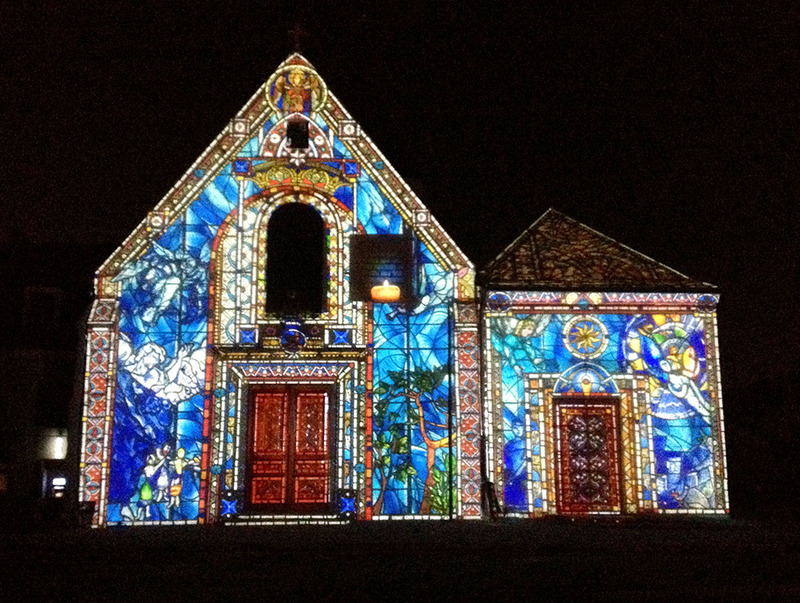 The show was projected each evening from November 16th 2013 till the end of January 2014. 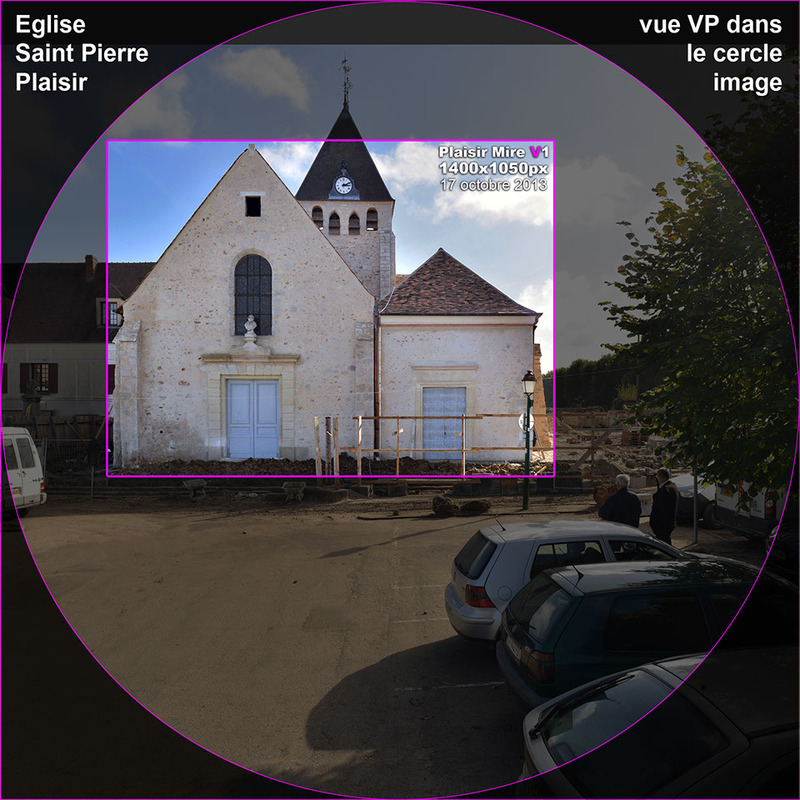 As you can see in the image below, that represent the video projector point of view inside the circle image of his lens, the lens shift is a little UP and LEFT. 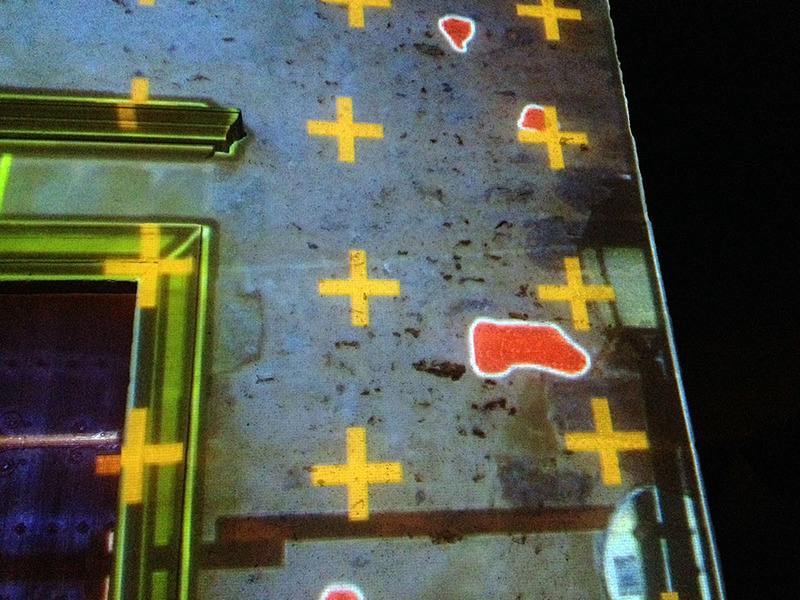 This is due to the physical position of the projection installation, to hit the screen as perpendicular as possible to get the lower deformation on the image. 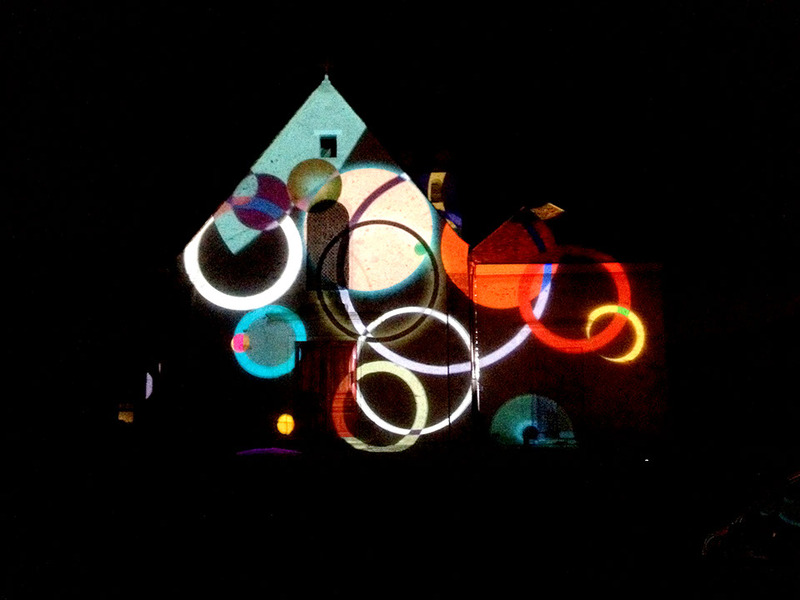 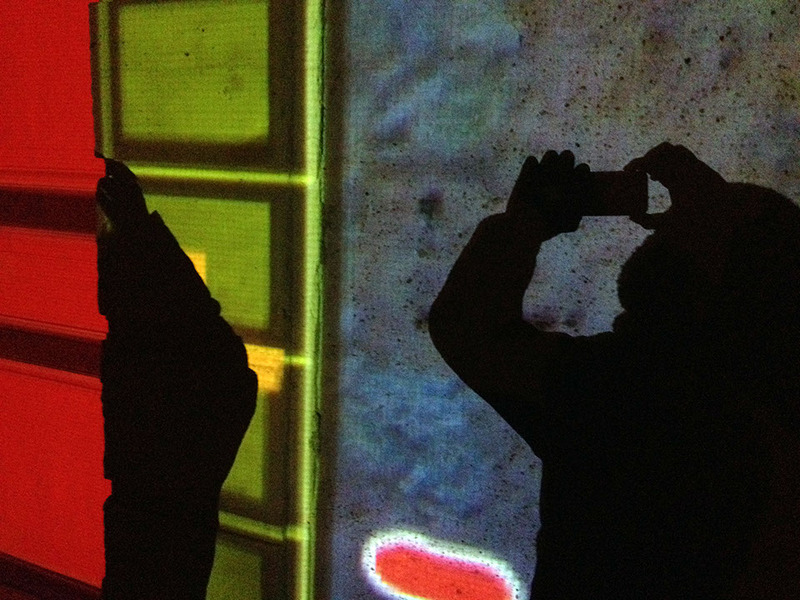 The following photos where taken during the projection set-up. 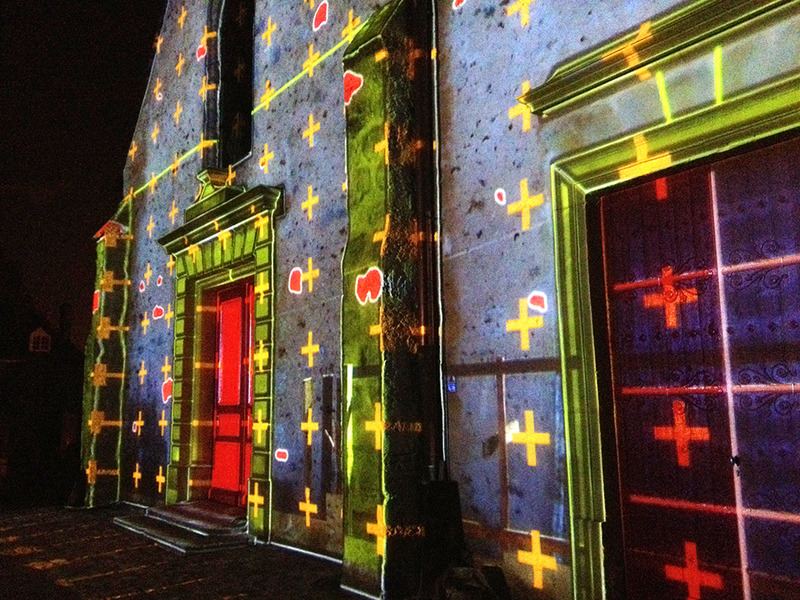 To help the projection calibration I've highlighted some details from the facade (some apparent stones that I put in red with a white stroke) including all the architectural lines. 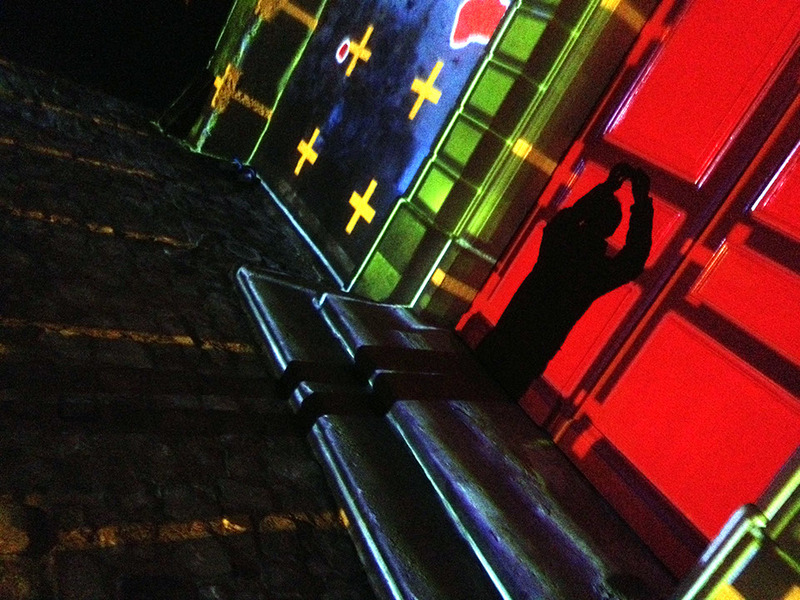 Above you find some photos of the show, taken just at the end of the calibration phase, by night, whit no audience.